My 5 Reasons Why Now is the Time To Start Drumming! Ruairi specialises in presenting fun, innovative and interactive concert experiences for a variety of organisations including the BBC, LSO Discovery, Southbank Centre, Live Music Now and The Royal College of Music. 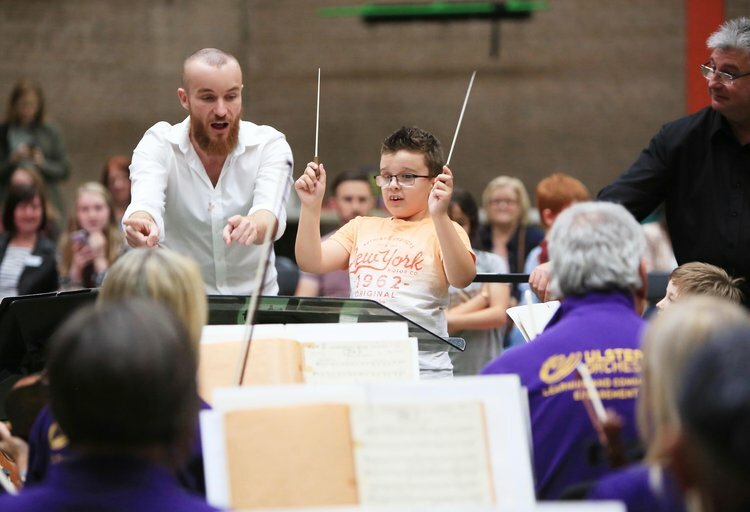 Passionate about Inclusion and opening up concert experience to a wider audience, in August 2017, he developed and presented the very first Relaxed Concert for the Ulster Orchestra in partnership with Autism Northern Ireland. During the 2016, 2017 and 2018 BBC Proms, Ruairi has presented several Proms Family Introductions which explore music from the evening's concert and features musicians from the BBC's performing groups. He has introduced a wide range of music including composers such as Tchaikovsky, Glinka, Saint-Saens, Bridge, Beethoven, Rimsky-Korsakov, Prokofiev, Ravel, Mendelssohn, Korngold and new pieces by Joby Talbot Paul Desenne and Anders Hilborg. Ruairi has also been a contributor on the new series of " How to Stay Young" alongside Dr Chris van Tulleken. Since September 2016, Ruairi has developed and presented Music Matters at the Horniman Museum which is a weekly session where participants listen to music and learn about musical traditions inspired by the Horniman's vast collection of musical instruments and objects. The sessions encompass a wide variety of musical traditions from around the world and find new ways to explore and analyse music. Ruairi has also presented training sessions for Sound Connections Challenging Circumstances Conference, the Tri Borough Music Hub Music Education conference, and regularly gives talks for the Royal College of Music Creative Careers Centre. Ruairi was Artistic Directer for the RCM's Junior Gala 2015 ' Raise the Roof' and presented the culmination of the day's participatory activities in the Britten Theatre alongside the RCM Big Band and Charlie Siem. HIDDEN DRUMMERS is a new series of documentary films that explore a variety of fascinating drumming traditions from around the world and the next generation of young players passionate about keeping the traditions alive. Ruairi Glasheen traveled to Iran in January 2018 to capture the first instalment of the series which is currently in production.